Not all classrooms have four walls. No place is this more evident than in the growing number of students that study abroad. This is one of the programs you will hear about from your student (and trust me, they will bring it up). I did not have that many friends that went abroad when I was in college. My older daughter, who graduated from UF, chose not to study abroad as she did not want to miss a full semester at UF. Looking back, she has said it is one of her regrets now that her younger sister is studying abroad this summer in Madrid. I first learned about study abroad at orientation in 2015. The breakout session spoke of the benefits of studying abroad. You can read that here. I was impressed by the vast amount of information given out and, I must admit, envious of the many opportunities available to students. Sure, I knew that since we live in a global economy it is important to increase our global awareness, but I was not as knowledgeable about the impact for students upon graduation. I knew then that this was an experience she wanted to have and I would have a few years to plan. I also knew that I would be most comfortable if she went on the UF Sponsored program for many reasons, but primarily because of the support. We live in uncertain and frightening times so the decision to send your student abroad is very personal. The support UF students receive from UFIC (University of Florida International Center) as it applies to travel warnings and monitoring the global situation was paramount to me allowing her to go. The cost was the second factor as studying abroad is expensive depending on the duration of the program. To secure your space, students are required to complete the Study Abroad application and pay the deposit or service fee which ranges from $125 all the way up to $750.00 depending on the type of program. Click here to see the fees. These fees are non-refundable so make sure you have worked out the financial aspect before paying the deposit. 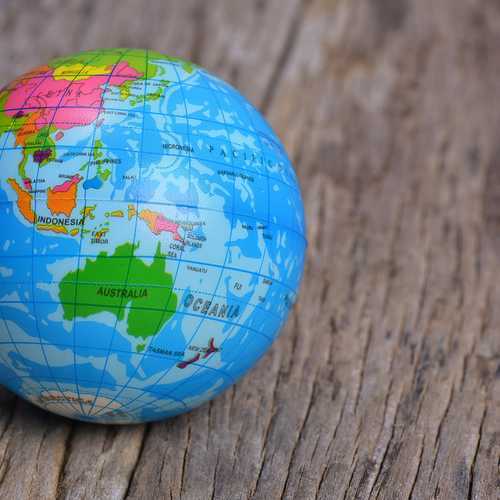 Over 2,000 UF students participate in study abroad program to destinations from Australia to Argentina, Belize to Belgium, the Netherlands to New Zealand and many countries in between. Top destinations were China, France, Germany, Italy, South Korea, Spain, and the United Kingdom. The length that was the most popular was two to eight weeks in the summer, followed by less than two weeks during the academic year (mini session) and one full semester. I would recommend having your student attend one of the information sessions to learn about the different study abroad programs. Once they attend a session, they can meet with a Study Abroad Peer Advisor who can help them determine which program best works for them. The Study Abroad office can be found on The Hub. My daughter went with a UF sponsored program. As an advertising major, she could have chosen the College of Journalism & Communications program that goes to London & Greece during summer A. The students take UF courses taught by UF faculty and they receive UF GPA credit. She wanted a longer study abroad experience so opted for semester-long Warrington College of Business Administration program in Madrid. She is taking one online UF business course as well as two courses focusing on Spanish business, language, and culture which meets both her gen ed requirements and her business minor credit requirements. She did all of the applications and handled all of the planning for the program. There were, of course, times she called upon me to provide information such as her passport number. My daughter’s study abroad trip included health insurance. She did go through UF so make sure you check about health insurance if working with another program in the event they get sick or injured while away. Your student can fill out the Deferment Request for UF Study Abroad Program Fee for UF Sponsored Programs ONLY) so that the due date for total payment can be extended to allow time for disbursement of funds. Important to remember that while Florida Prepaid, and the new changes made to Bright Futures, may be used (for Academic Scholars only during the summer; both Academic and Medallion for fall or spring semesters), weigh out your options as to whether you want to use these funds. The reason I bring this up is that you should consider whether the total prepaid credit hours you purchased will cover your student’s four years. If they are taking more than the 152 credit hours (many do) upper-level courses will cost more per credit hour than the lower level credits. It may make sense to save the prepaid for those classes rather than apply it to the cost of studying abroad. You do have the option not to use the Prepaid for Summer Abroad. There are specific recommendations that UF makes to the Parents & Guardians which you can read about here. I broke many of them but I believe that as a parent, you need to do what works for you and your student. 1. Make sure your student’s passport as well as yours has a minimum of six months before expiration. You will not be allowed to leave if your passport expires in three months. Students may renew their passports at The University of Florida (Mail & Document Services) which acts as a Passport Acceptance Facility for the U.S. Department of State. Passport Books and Passport Cards are available. Currently, the processing time for both is 6 weeks with expedited services in 3 weeks, however, processing time is subject to change. Passport Services is located at 3030 Radio Road on the Southwest portion of the campus between Elmore Hall and the Physical Plant Division. Lakeside Residential Complex is directly across the road. Visitor parking is available in front of the building. Another passport renewal resource in the event that you need to expedite a passport or visa renewal, try Fastport Passport. They are registered with the U.S. Department of State. 3. If they are traveling to a country that is more metropolitan with access to shops and stores have them purchase their toiletries over there. The exchange rate for the Euro is $1.12 so I had her pitch in with her roommates for items such as toothpaste, shampoo, conditioner, and cleaning supplies if they are living in an apartment. 6. I made my daughter an authorized user on my credit card since it does not have any foreign transaction fees. Have them write down the international phone number for the credit card and put it in a safe place (with a copy of their passport). If their credit card is stolen, at least they can report it immediately. 7. While they can pay extra for additional luggage, my daughter limited herself to one large duffle bag and a carry-on bag for the weekends they go traveling to another country. There are plenty of inexpensive retail stores where she was traveling to and she can mix and match, wash her clothes and learn to live with less. If you look at pictures of students backpacking through Europe, they do just fine reusing clothes. For ease of packing, my daughter used packing cubes which were great for organizing her clothes. We went with the ultralight packing cubes from eBags. 8. When booking your student’s travel, keep in mind that the internet keeps track of all of your searches so you may want to open an incognito window so you can avoid increasing prices (the travel site is then unaware that you already searched for a low price on their website). The best time to book an international flight is typically 2-4 months before your travel date. Another tip is to check one-way tickets each way as sometimes you may actually get a better fare than the roundtrip price. 9. For housing, while UF does offer housing through their international program, other options include Airbnb’s and hostels. If someone wants to immerse themselves even more so in the local culture, consider staying with a host family. 10. Consider purchasing student travel insurance for emergencies, which we pray they don’t need. HaveUHeard recommends Allianz Travel Insurance. 11. If they will be traveling around and staying at hotels, which my daughter and her friends did on occasion, HaveUHeard that students can get a 10% discount if they verify their university status on Unidays? Click here for more information. Or, they can consider staying at a hostel. Hostels are not all so shabby anymore. Check out HostelWorld to see how nice (and inexpensive) some of them are. 12. You may want to consider having your student get Global Entry which runs approximately $100 for five years but makes getting through security so much easier. Or, have them download the Mobile Passport app which is free and helps to speed you through U.S. Customs. (officially authorized by U.S. Customs and Border Protection). They will still need their passport but it saves them time. 1. Do not go overseas with your student to help them settle in. When she chose Madrid, we decided to visit other cities in Spain two weeks prior to our vacation. Her experiences this summer will be vastly different when she is with her friends than with her family. (hotels vs hostels) We did not go there to “settle” her in but it was very reassuring to see the cities she would be traveling to and get a lay of the land. I even think she felt the same way about arriving in advance. 2. Try not to call them every day to check in and do not worry if your student has not spoken with you in a few days. She sends me a text once a day- Just a “hi and I’m fine.” She is in a time zone that is six hours later so of course, it is challenging to find a time that we are both available. We text when she is on wifi and she has called me once through Facebook when on wifi. (many use What’s App but you can call through Facebook messenger or Facetime when in a wifi area and the reception is just as good)With everything going on in the world today, I do not feel I am being overly involved asking for a short text. And, if she is going to be traveling to another country, to let me know in advance is mandatory. Non-UF students can go on a UF Sponsored Study Abroad program and UF students can also go to other college’s study abroad programs. This often comes up when they want to go with a friend who goes to a different college. Just make certain they get approval beforehand to be sure the credits will transfer. Study Abroad can be very pricey. In addition to the cost of the program which included room and board, a prepaid metro card (may not last their entire abroad program), health insurance and some excursions, it does not include airfare, meals, additional travel (many use this opportunity to visit other countries). And, of course, any purchases they make for themselves.